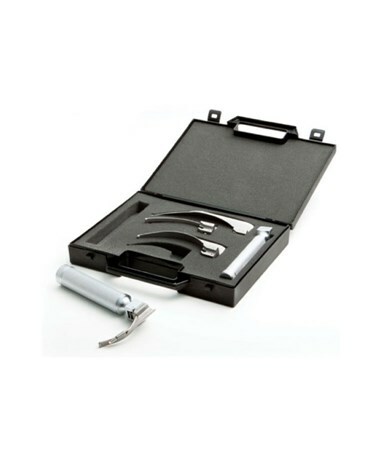 The ADC Fiber Optic Laryngoscope Set is an economical and quality piece for the discerning physician. The blades sport a 2.5v Halogen illumination for true tissue color and long lasting lamp performace. The light pipe is removal to facilitate easy cleaning. 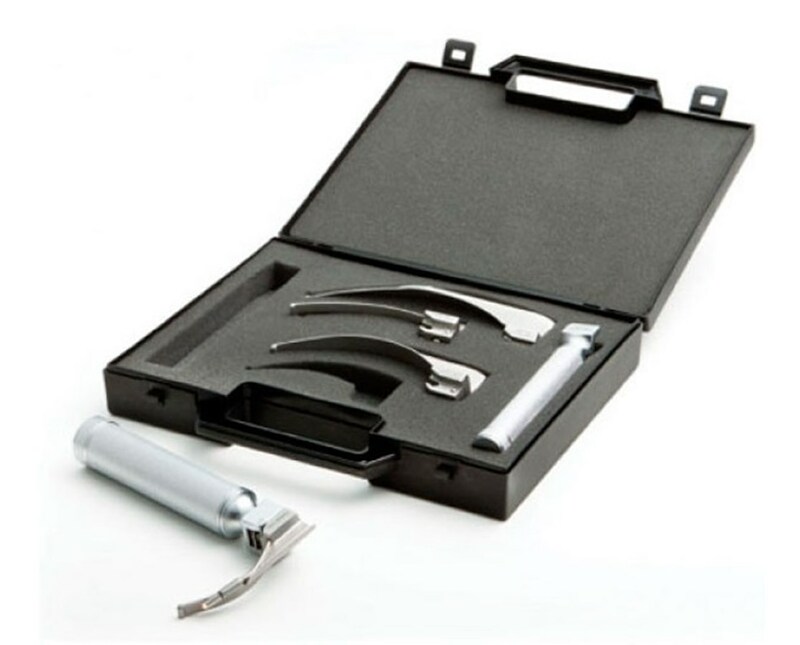 The fiber optic Miller set includes both of ADC's "AA" and "C" cell battery lightweight handles and lightweight standard blades for maximummaneuverability. All ADC products are assembled, package and inspected in the USA. 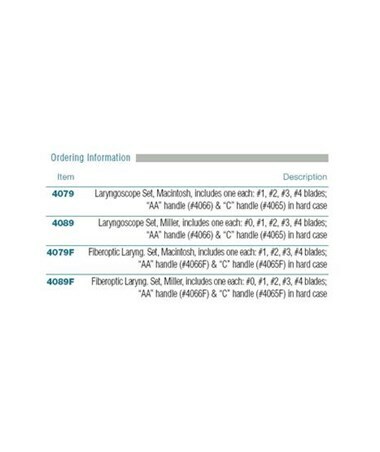 The Fiber Optic Miller Laryngoscope Set comes with a generous 1 year warranty.